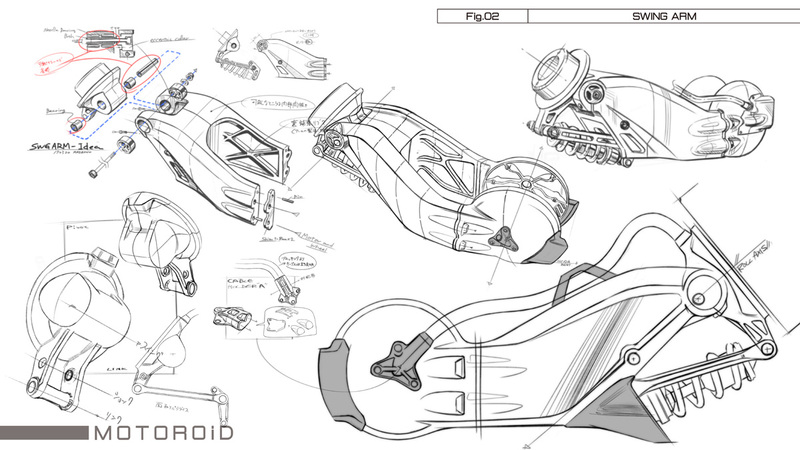 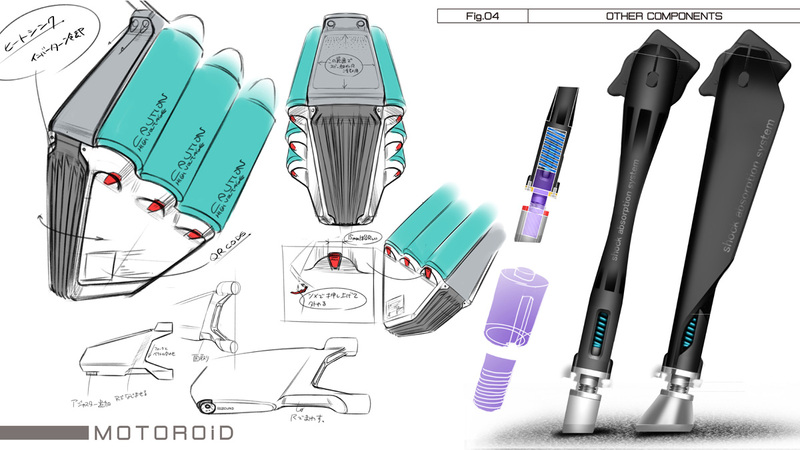 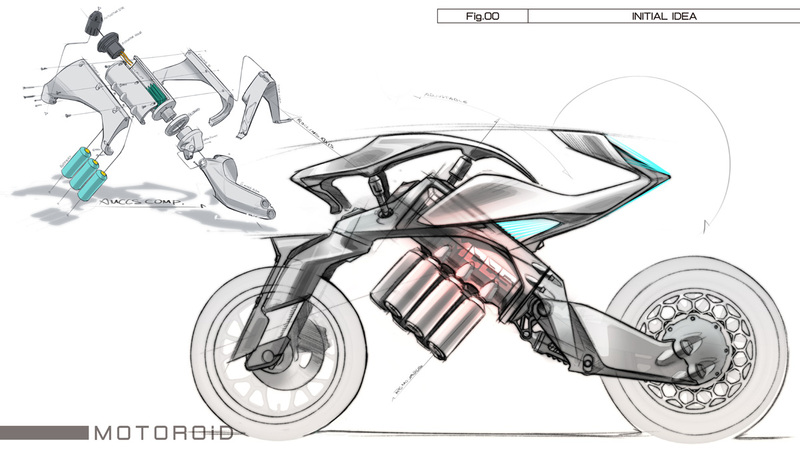 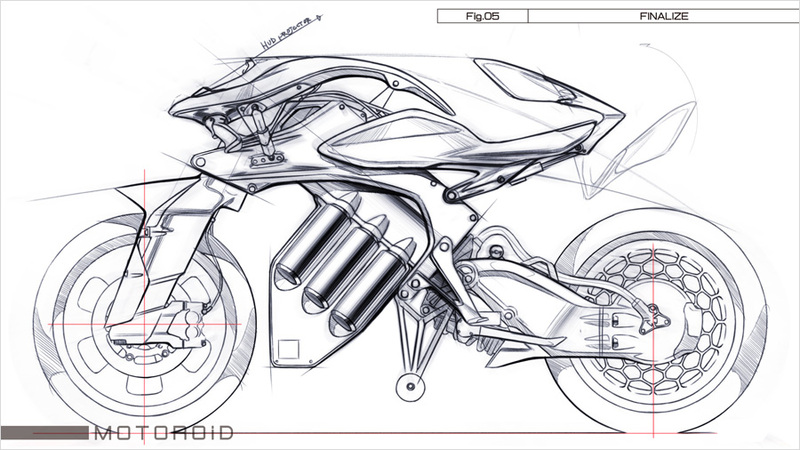 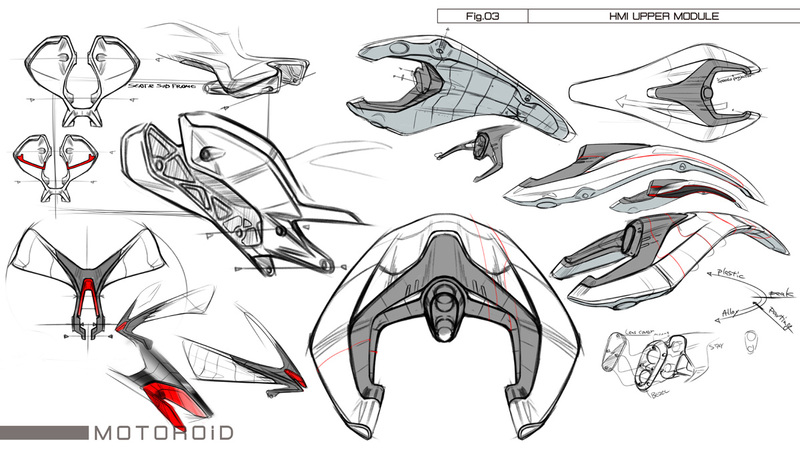 MOTOROiD - Yamaha Motor Design | Yamaha Motor Co., Ltd. 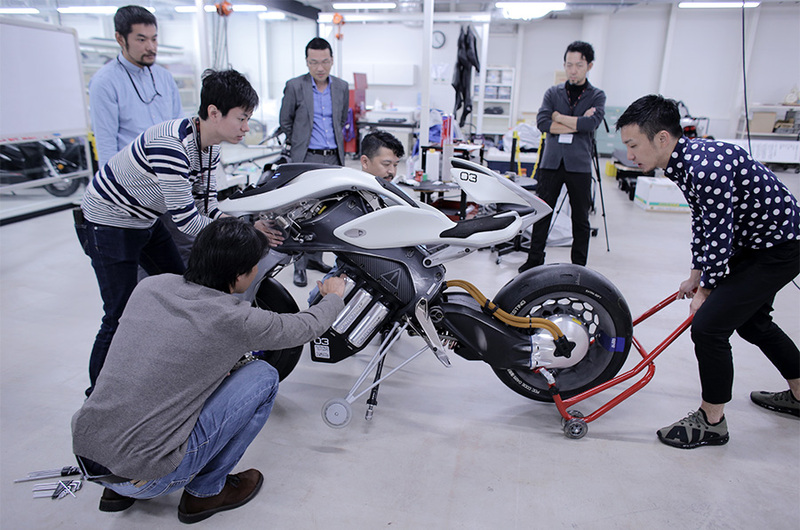 The Yamaha Motor Innovation Center was completed in December 2016 as the company’s new base for design. 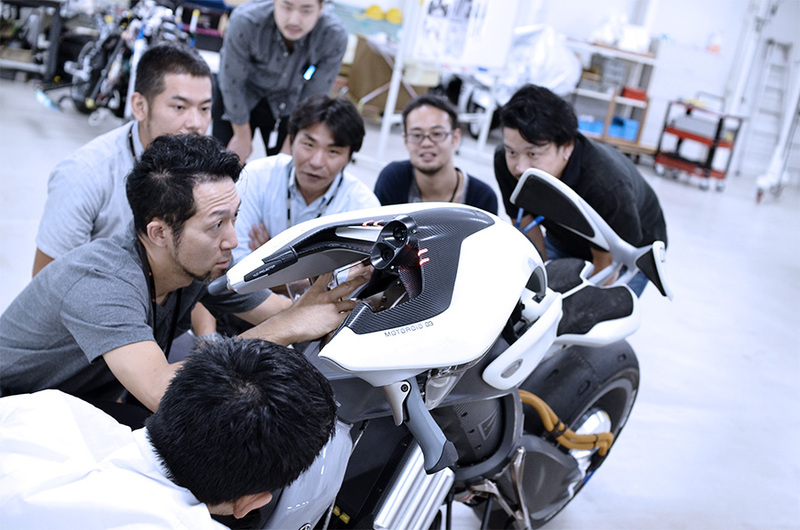 In a practice unlike anything before at Yamaha, our designers and engineers gather together in the same studios to work collectively on developing the next generation of Yamaha products. 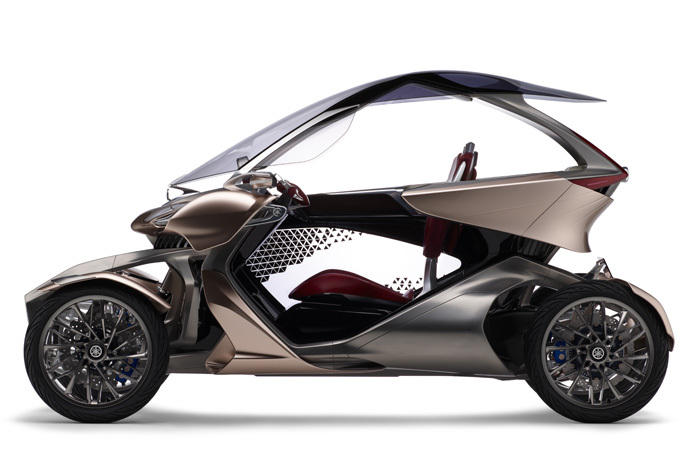 This collaborative effort to think outside the box and cross the boundaries of their individual specialties helps breed new and exciting advances in innovation, with designers sometimes proposing ideas for vehicle frames and mechanisms, or the engineers giving even deeper thought to the beauty of the final product’s finish. 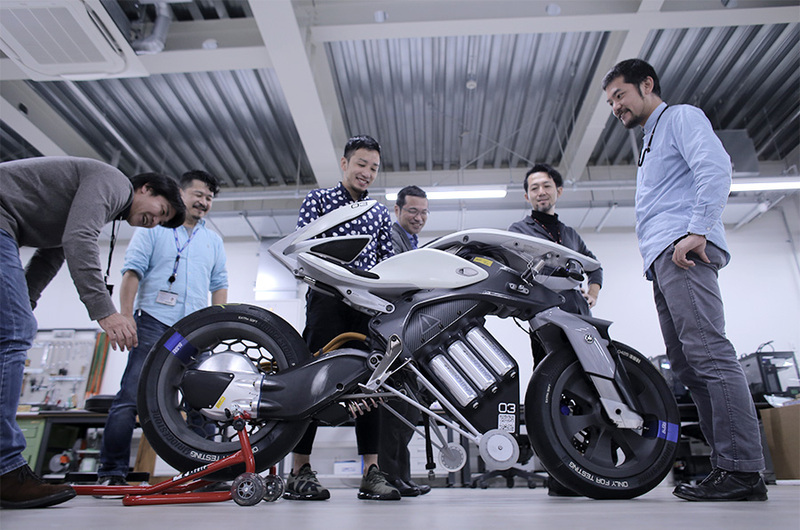 It was at this new facility at the cutting edge of Yamaha product development that “MOTOROiD” was born. 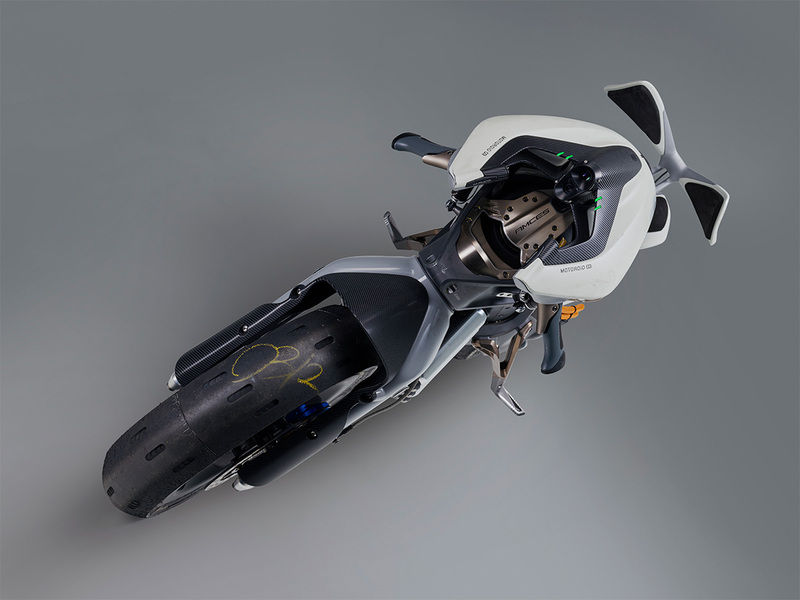 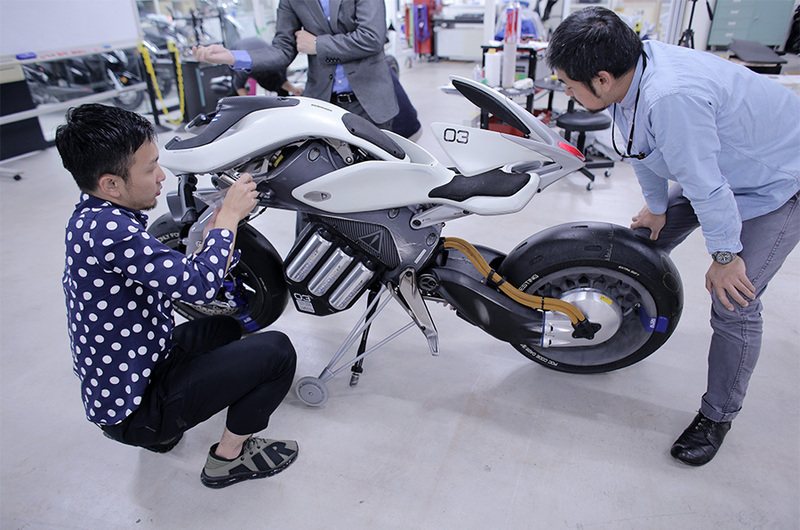 Were we to describe this creation in a word, it is an “autonomous motorcycle.” Employing artificial intelligence, it is able to recognize the owner’s face and actions, stand up from its kickstand and come to its rider. 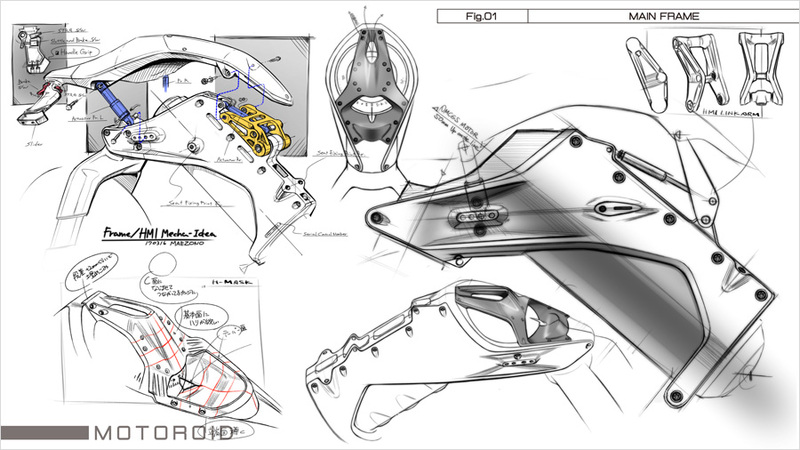 Our aim was to create a new-generation motorcycle in the unique style of Yamaha, so that when the rider settles into the racer-like riding position and grabs the handlebars, it provides a sporty and exciting riding experience regardless of the person’s individual skills or athleticism. 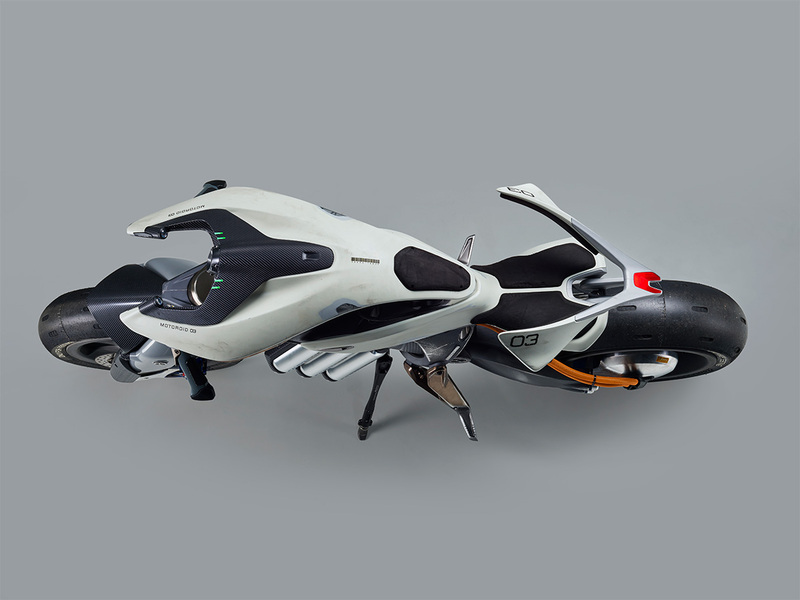 Despite the awesome conglomeration of mechanical and electronic technology this model represents, it doesn’t have a flashy look. 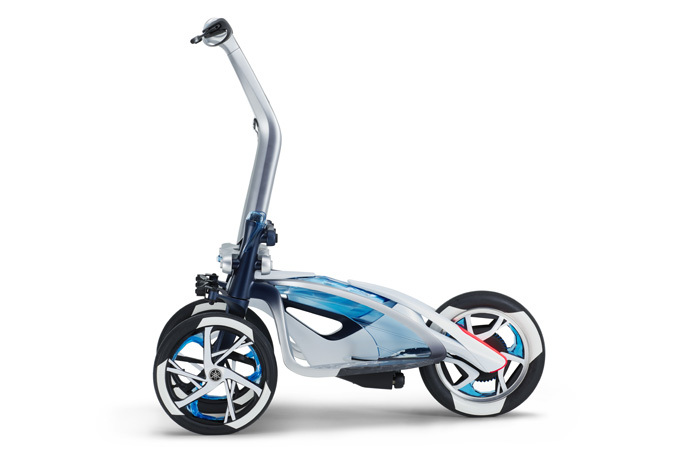 The frame retains traces of the cuts made to create it, the body is marked with un-bandaged scars here and there, and the tires are worn to the point that even the tread grooves are nearly gone. 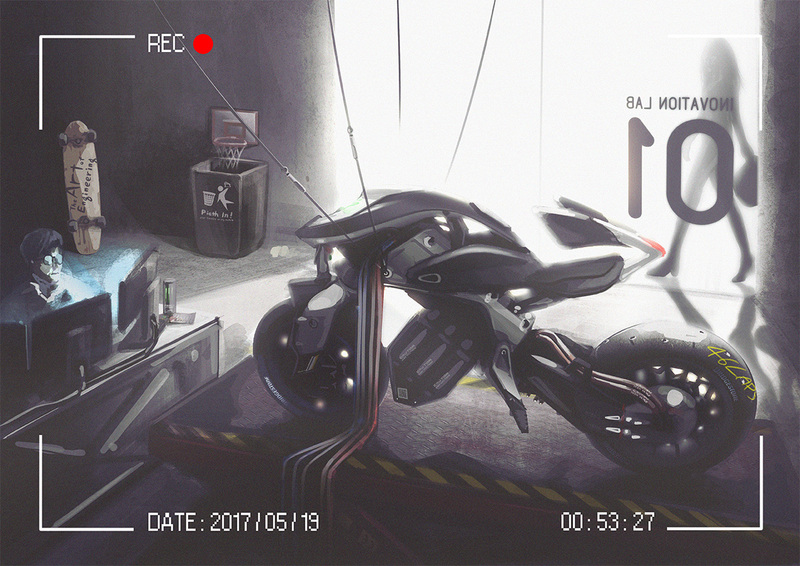 The machine emits a tremendous presence, like a prototype was just brought in straight after numerous hard-run track tests. 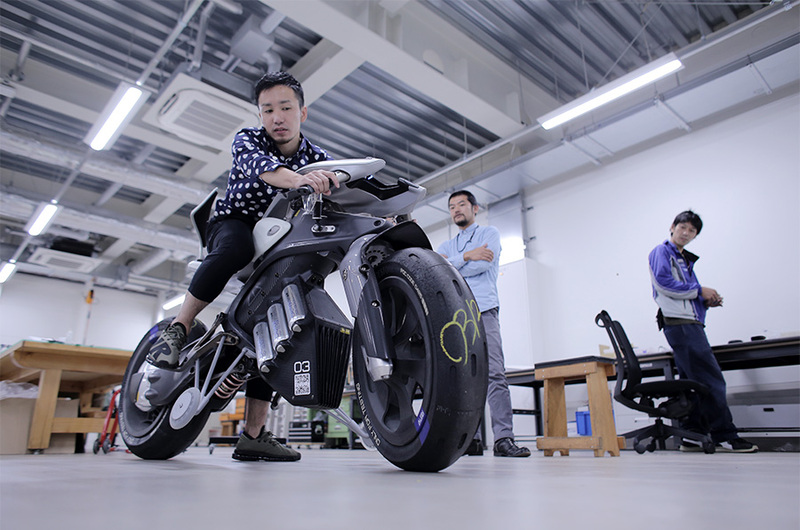 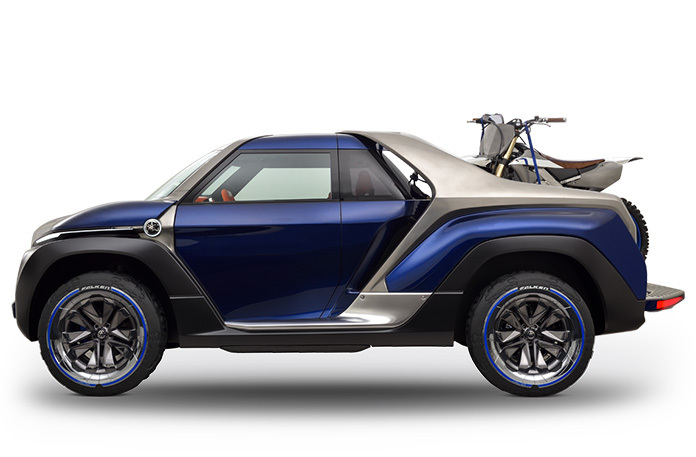 What you can get from a glimpse of MOTOROiD is the present and the future of Yamaha Design. 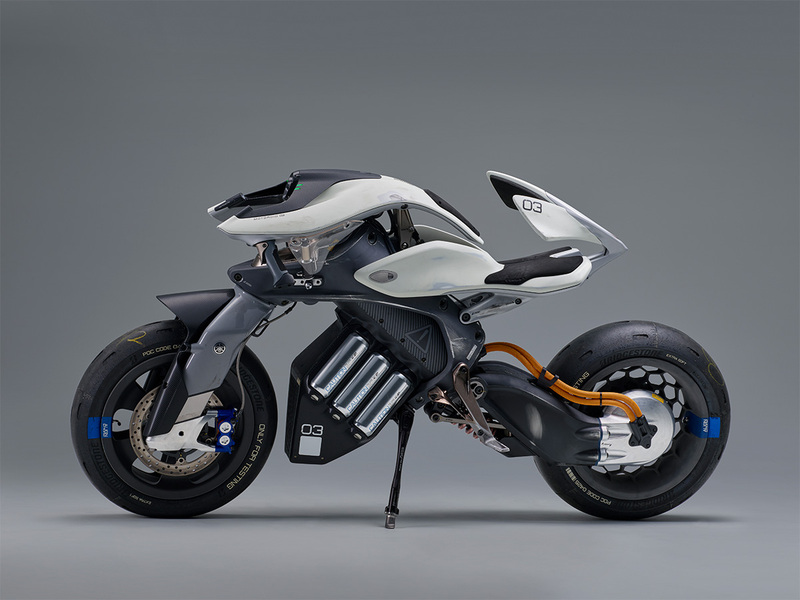 The designers and engineers wanted to show the public what their repeated creative clashes—and the resulting trust—gave birth to in unaltered form: a machine proudly showing its true colors and all the scars of trial and error.